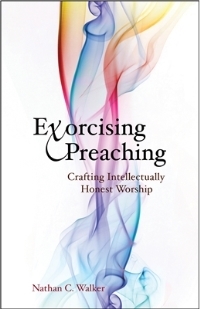 Exorcising Preaching delivers an urgent call to expel unhealthy practices from sermons, liberating the preacher and the people. Nathan C. Walker reflects on ways to replace harmful habits with healing disciplines that reawaken the craft of preaching. "Nate Walker has written a confession and not a 'how-to' book about preaching. He makes no claim to do your work for you. But he does open windows all around you to let in some fresh air. These poignant and transparent wrestlings of a young preacher in the early 21st century suggest that preaching is not a dying privilege, but a powerful and democratic engagement with truthfulness, an art form still emerging in our days. I found myself delightfully challenged even after 38 years of ministry myself." –The Rev. Dr. Robert Hardies, Senior Minister, All Souls Church, Unitarian, Washington, D.C.